Back in November, I criticized the very existence of Banana Tootsie Pops. 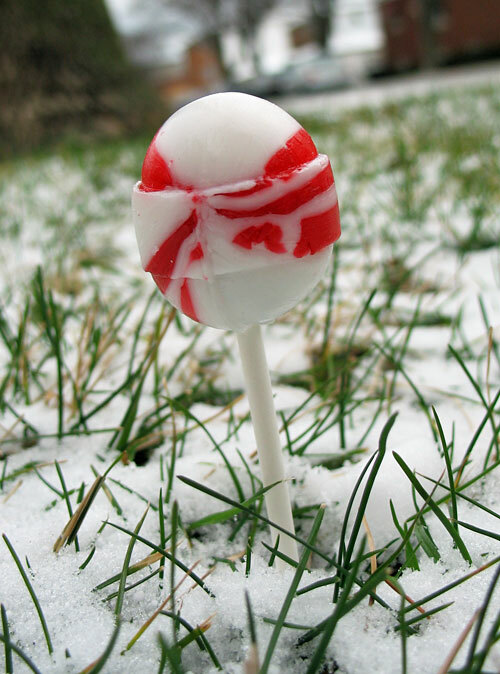 I thought it was only fair to take a look at a limited-edition holiday flavor, Candy Cane Tootsie Pops. The concept seems easy enough to understand. Candy Cane + Tootsie Roll on a stick. However, there's just something different about these products. First of all, the packaging and shape itself look nothing like a traditional Tootsie Pop. Rather, the shape of the pop more closely resembles a Charms Blow Pop. Tootsie Roll Industries bought The Charms Company in 1988, so it's not out of the question that these could have been molded in the same factory. The other curious note on packaging is that in lieu of using the traditional wax paper-based wrapper, it's a very hard-to-remove cellophane wrapper instead, more like you'd find on candy canes. As for the flavor itself, it's pretty much like sucking on a candy cane… only with a stick attached. Candy canes tend to be very sticky and hard to hold as you unwrap and eat them, so from a convenience perspective, thumbs up on the Candy Cane Tootsie Pop. 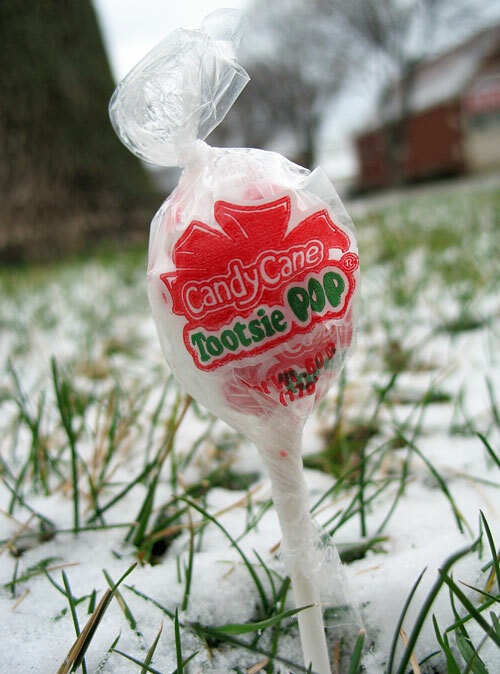 As noted, the shape is different from a Tootsie Pop; this Candy Cane version is more vertically oval-shaped rather than circularly-round with a lip. Once you get to the middle, it's traditional Tootsie Roll found inside. I have to say that while it's a nice change of pace, I'm not sure the combination is that awesome. It's an odd flavor bundle that seems to be overwhelmed by the peppermint. 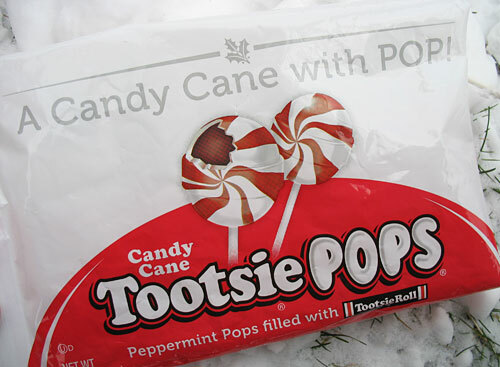 Candy Cane Tootsie Pops are a fun novelty, but I'm glad they aren't a permanent addition to the lineup.